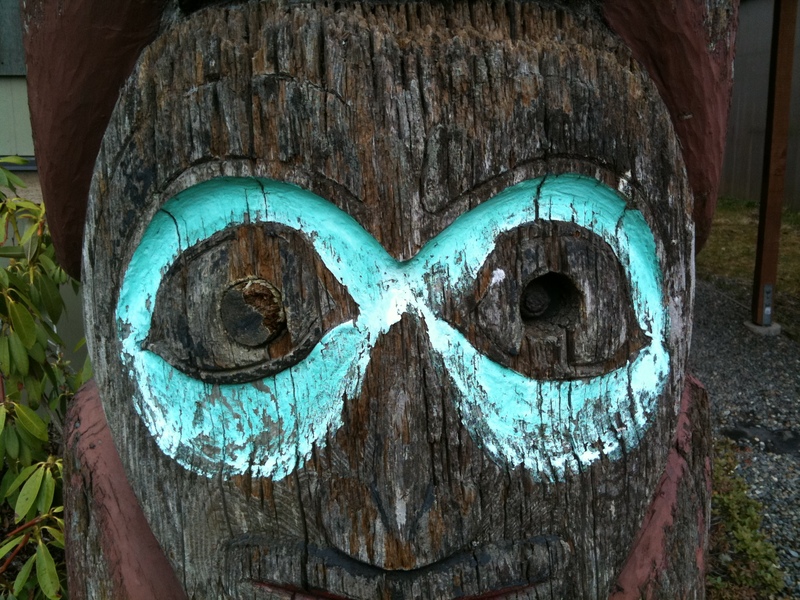 Here are some examples of totem pole mounting techniques that I have seen in Southeast Alaska. 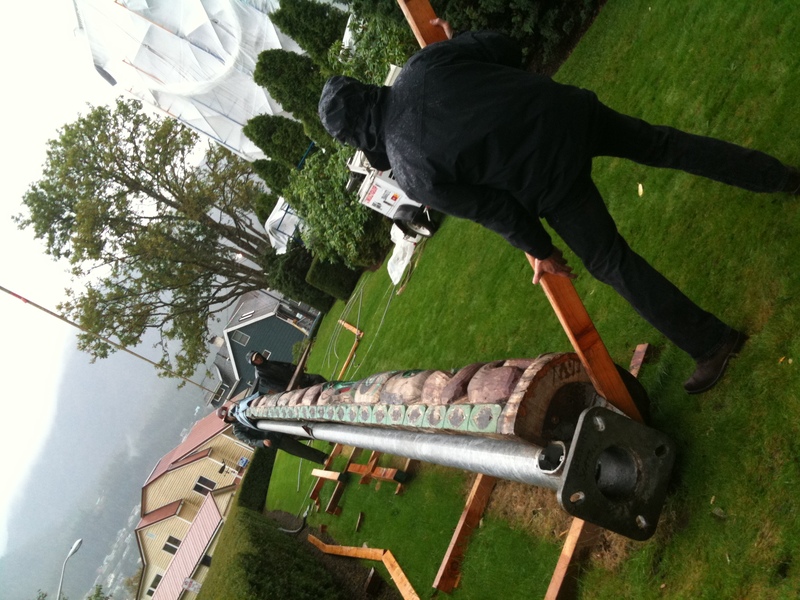 For details about rigging and equipment, as well as the most reasonable estimate I have of totem pole weight, see How to Take Down a Totem Pole. The strongback, or a supplementary post of metal or wood, is the way both new carvings and restored older ones are typically installed today. 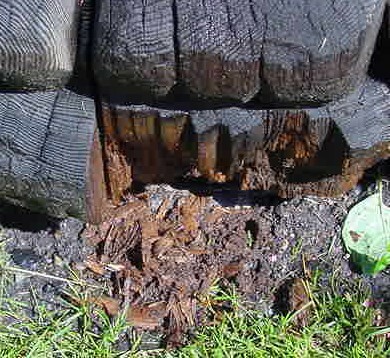 The method is especially effective for the old poles, as they often have rot, insect infestation, or other instability at the base. 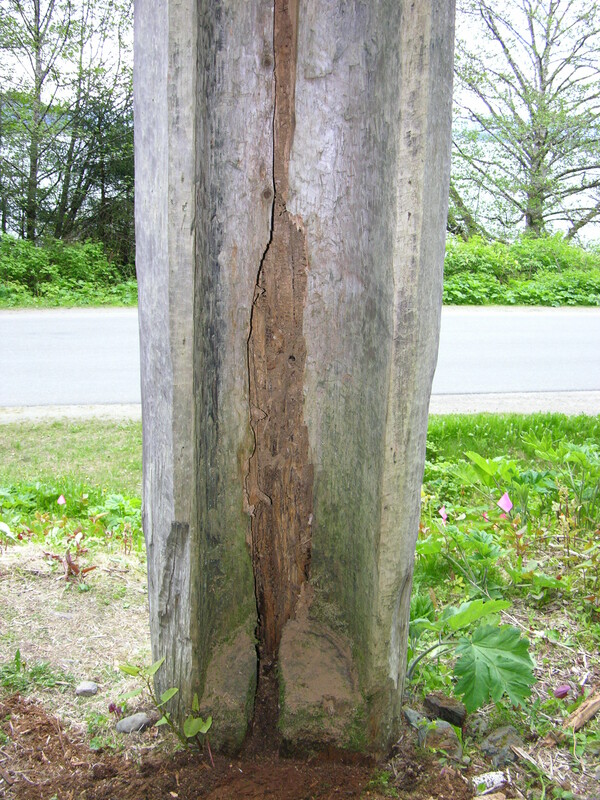 This damage is usually caused by installing the totem pole directly in the ground or into concrete, where it suffers from moisture ingress (remember that southeast Alaska is a temperate rainforest) and is vulnerable to insects. 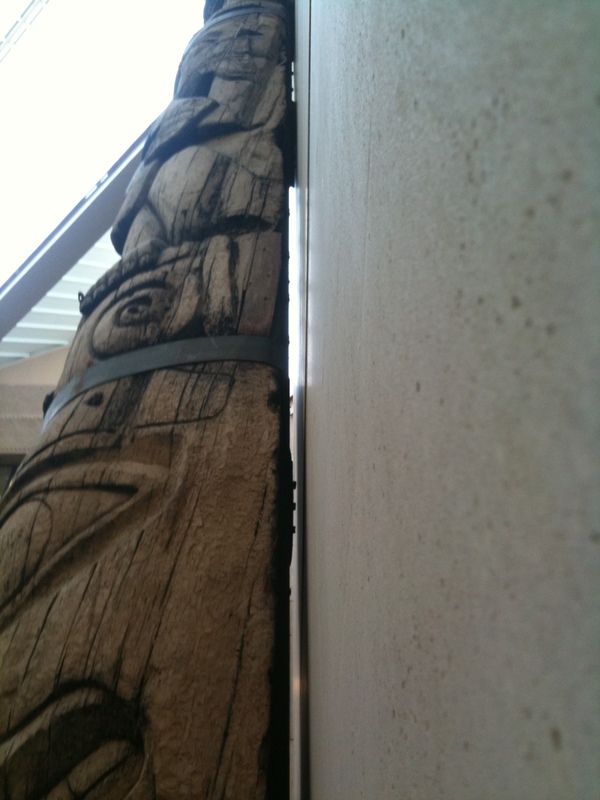 Carpenter ant damage to totem pole that had rot from contact with moist ground. 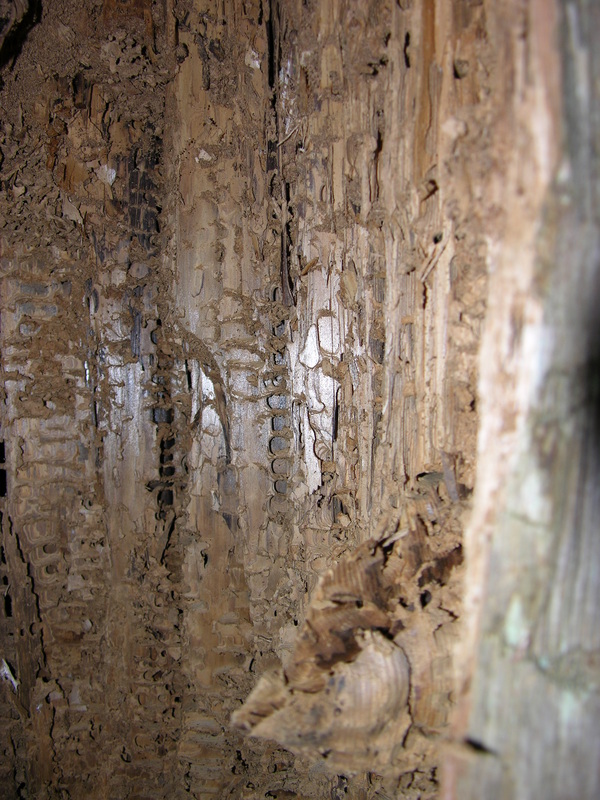 Close-up of damage from carpenter ants. These creatures don't attack sound wood, only wood that has areas of rot. The strongback helps the pole resist lateral loads, such as winds, but is not expected to support the totem pole’s weight. 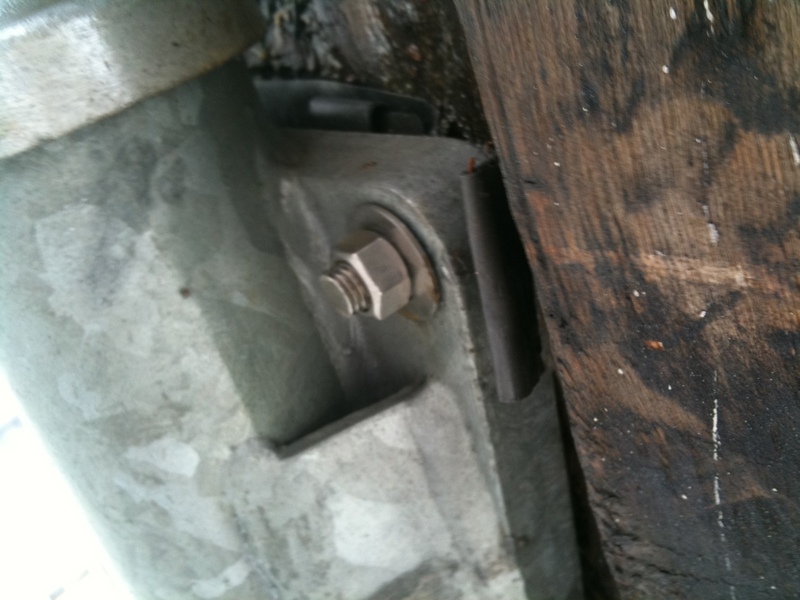 This is typically done with wooden spacers between the pole and a concrete pad, or by a special metal shelf welded onto the strongback near the base. 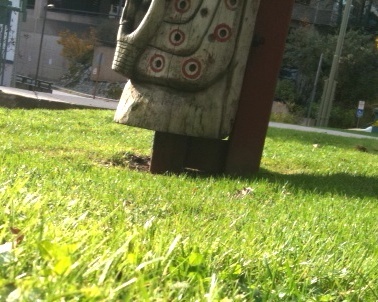 Totem poles are typically attached to the strongback through bolts that extend to the face of the pole. 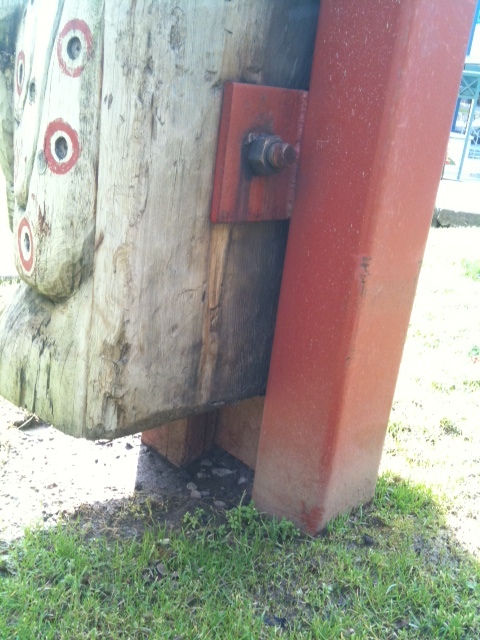 Sometimes bolt heads are left exposed on the front of the carving. 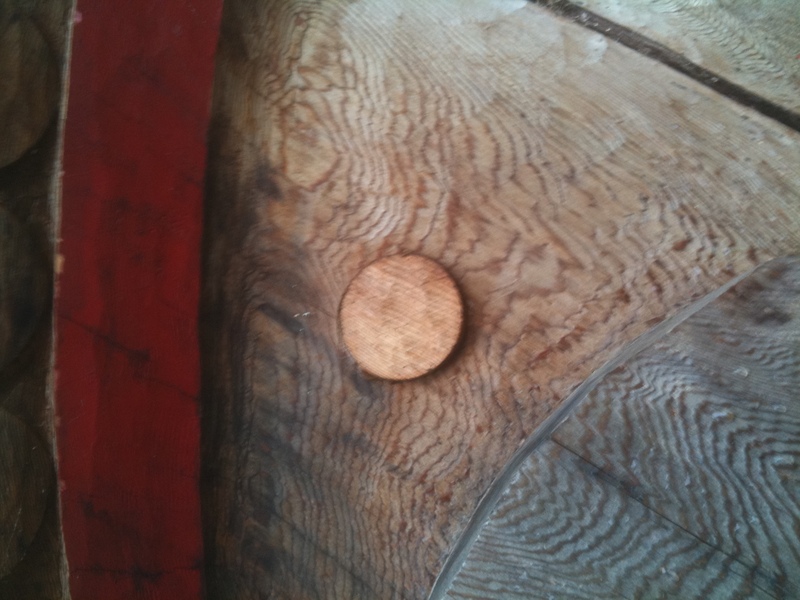 Sometimes the hardware is recessed below the surface of the wood. Details on materials specifications and hardware are not provided here, as these choices are guided by the particulars of each totem pole and its desired location. Considerations of weight, height, wind load, weather, limitations of access and so on require a custom solution for each pole. 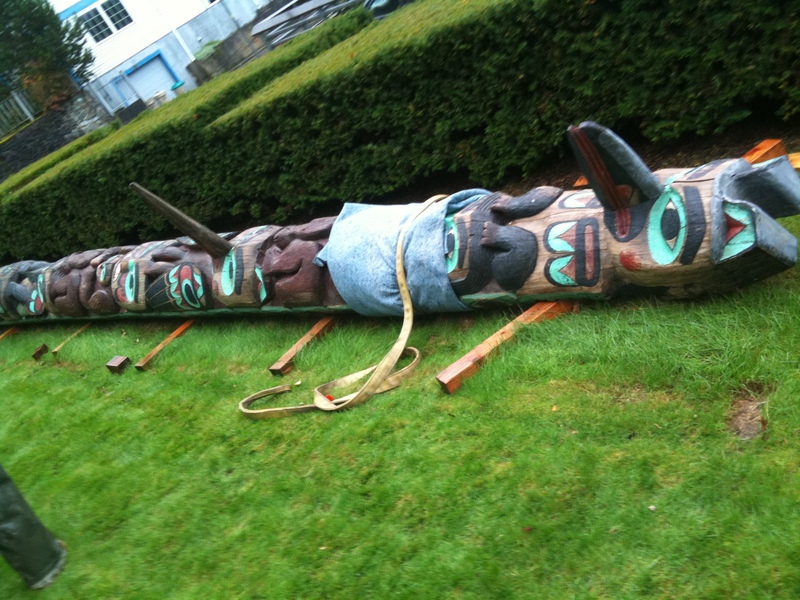 Installation of a totem pole usually involves a team of skilled individuals, as faulty installation can result in injury, damage to the pole, or damage to property. The following cases are provided as examples and a springboard for discussion of ideas among your team. Western Red Cedar, approx 35 feet tall, 83” circumference at the base. 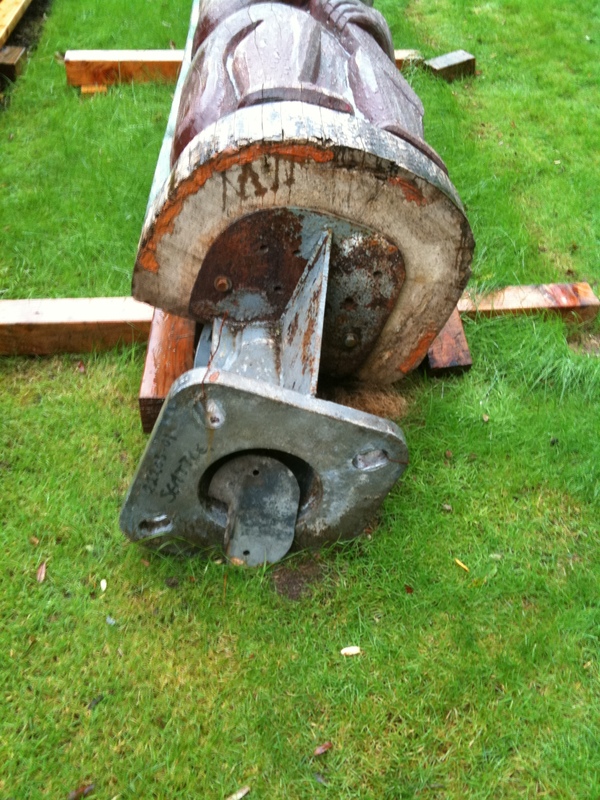 3,400 lbs as weighed by crane in 2008. 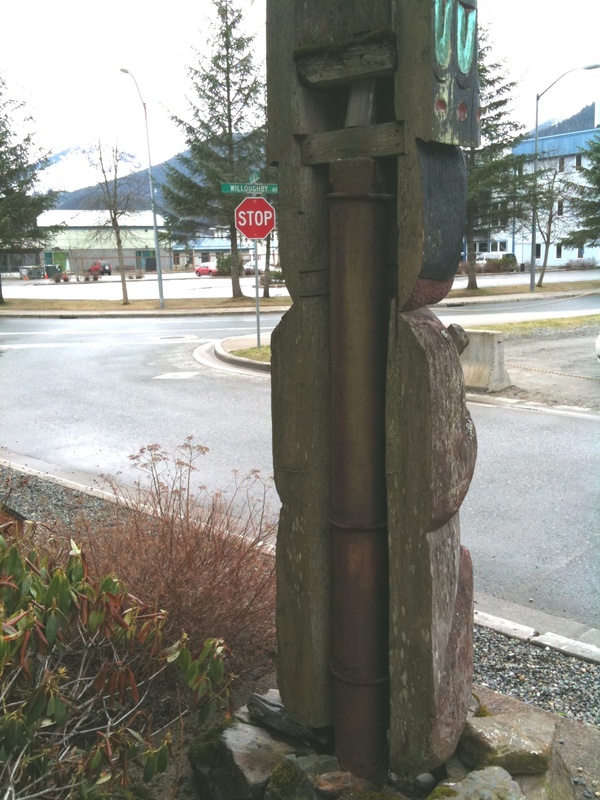 Carved by John Wallace in 1940, this pole is now located at the corner of 4th and Main at the Juneau-Douglas City Museum (collection number 84.19.001). 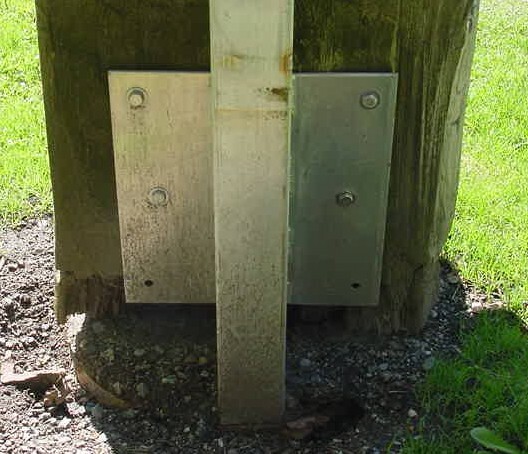 It was mounted at this location following a move from a nearby park in 1994 and re-mounted again following treatment in 2008, both times using a steel strongback with bolts extending to the front and bolt holes covered with wooden plugs. 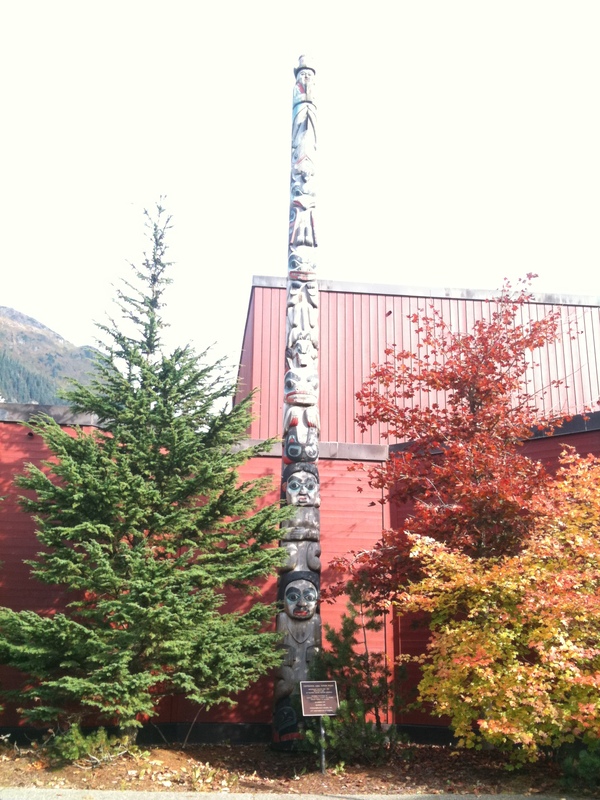 Four Story Totem Pole, Juneau-Douglas City Museum. Base of strongback extends into concrete underground. Western Red Cedar, approx 40 feet tall. 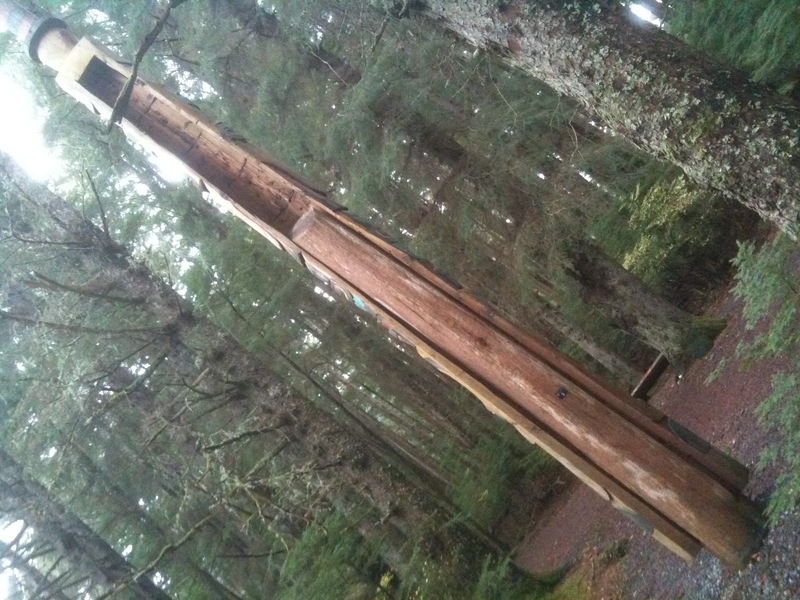 Documentation suggests the pole weighs around 2,500 lbs. 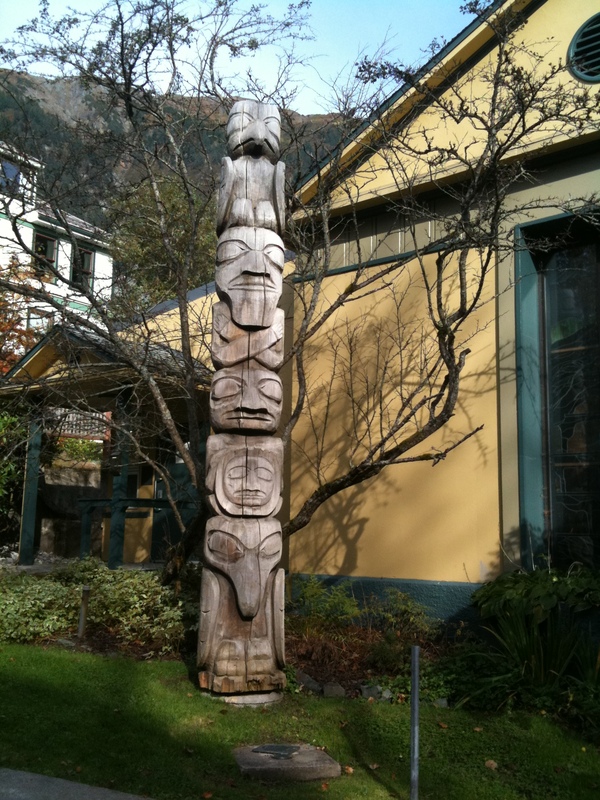 Carved by Nathan Jackson (assisted by Steve Brown) in 1980, this pole is located at Centennial Hall in downtown Juneau and is part of the Juneau-Douglas City Museum collection (81.01.032). 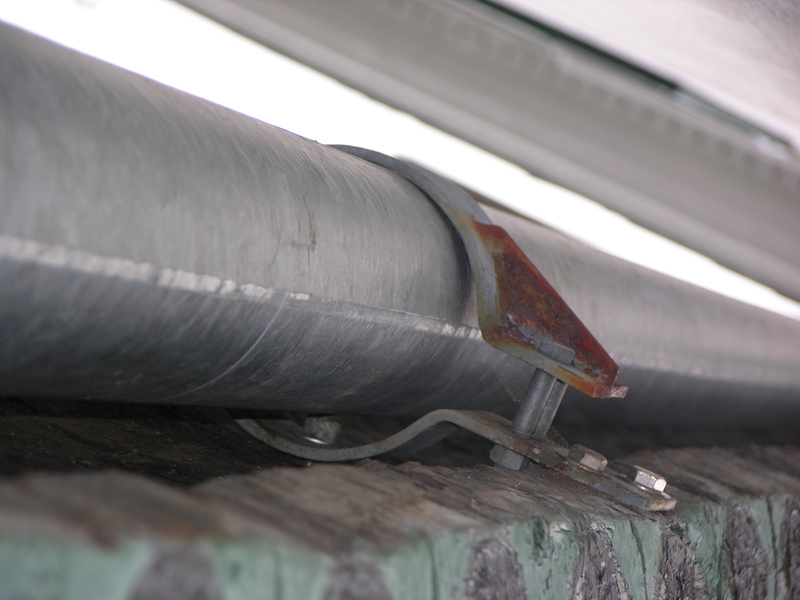 The mounting currently in place was installed in 1983 on mounts installed by Triplette Construction Company. 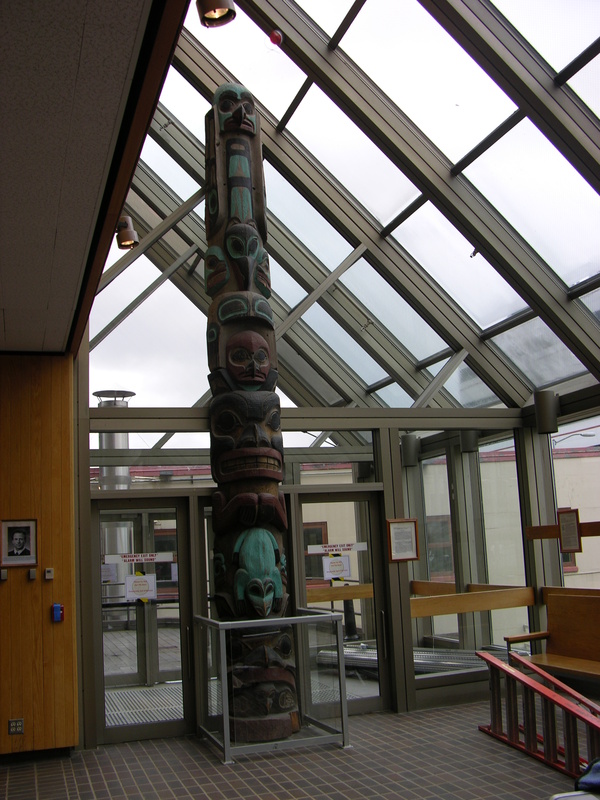 The companion totem pole, the Auk Tribe Pole (81.01.033) was moved inside the atrium of the Juneau-Douglas High School in 2003 due to flaws in the original wood, resulting instability, and excessive weathering. 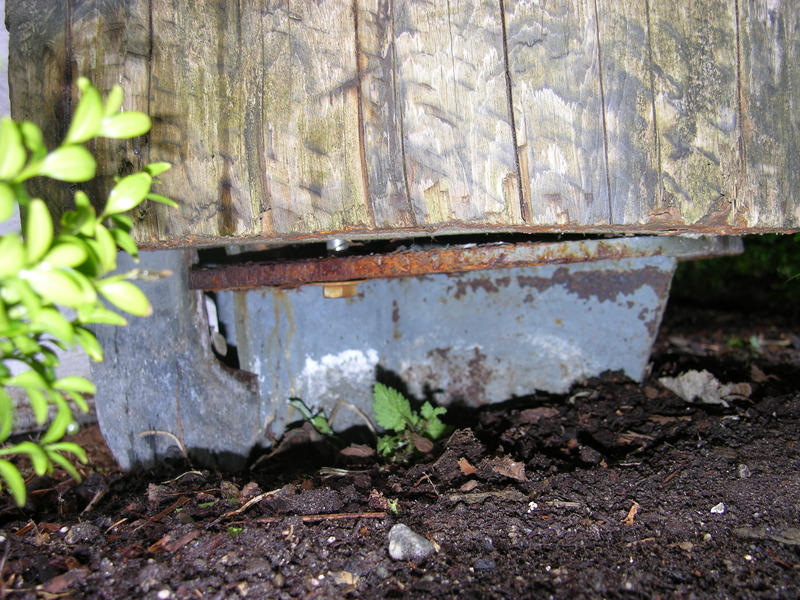 Base of the strongback attached to concrete pad. 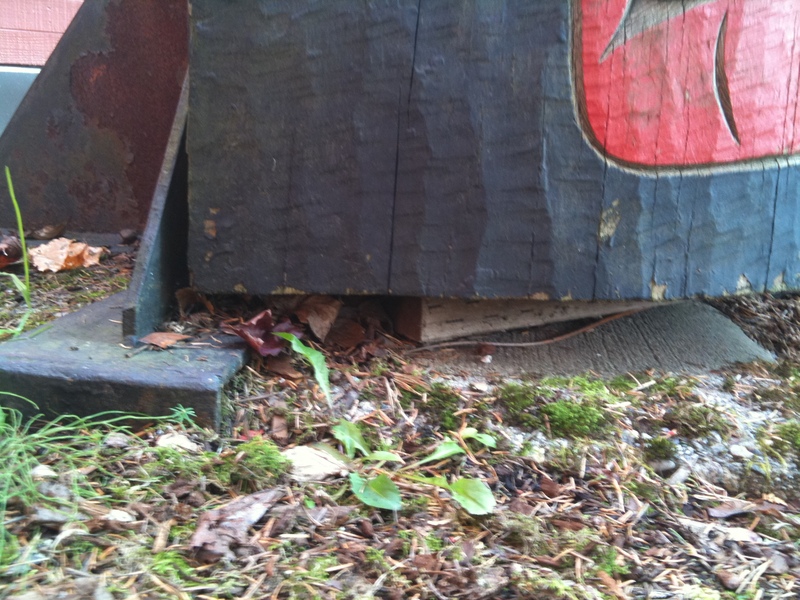 A piece of pressure-treated lumber acts as a spacer between the pole and the concrete pad. 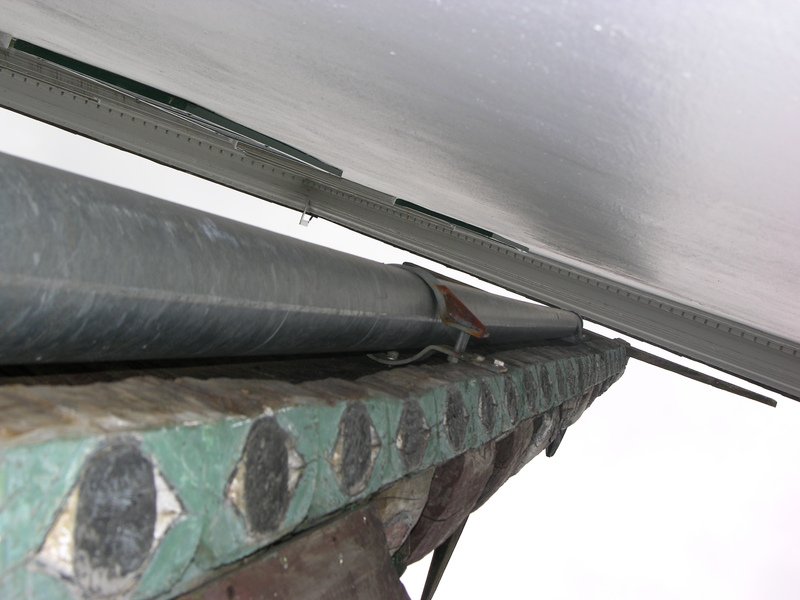 Rubber spacers were used in the gap between the steel mount and the curved geometry at the back of the pole. 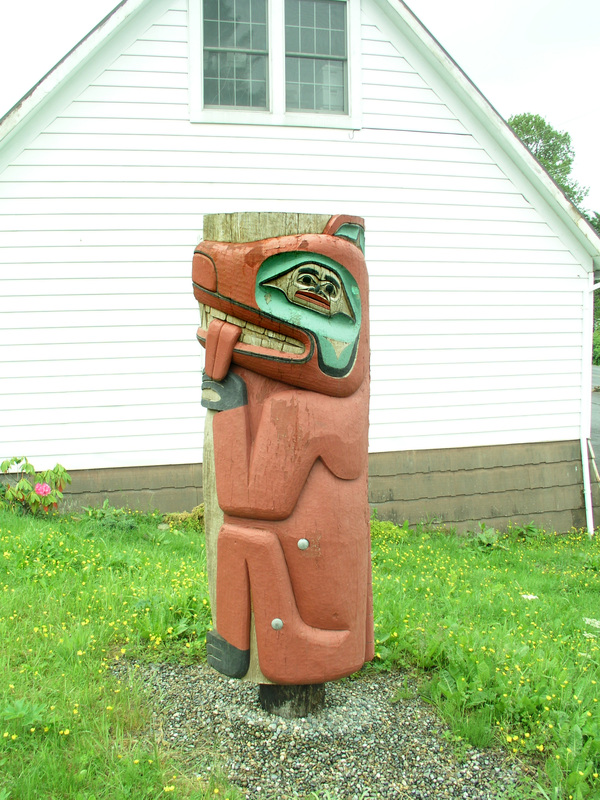 Carved by Tommy Jimmie Sr., Edward Kunz Sr., Edward Kunz Jr., and William Smith in 1977, these poles are located on Willoughby Avenue and appear to be the property of the Tlingit-Haida Regional Authority. The mounting in place looks to be original. 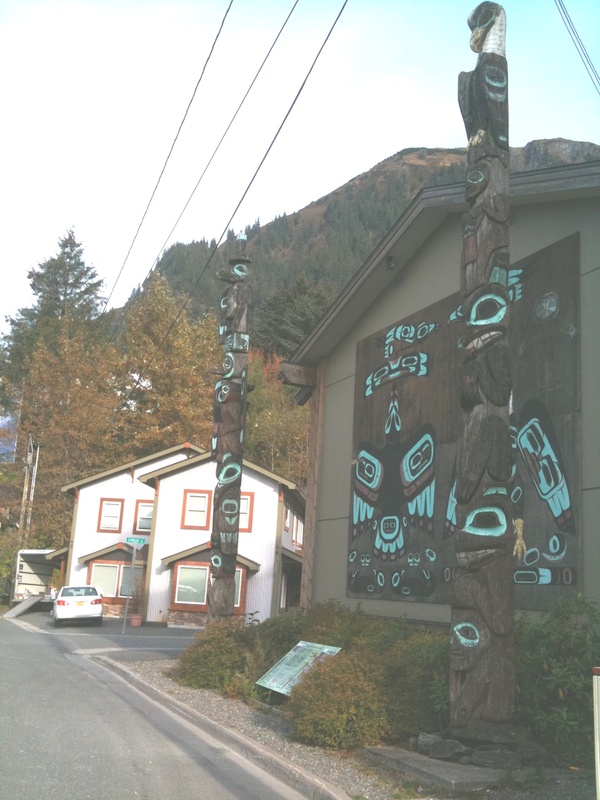 Raven and Eagle Poles on Willoughby Avenue in Juneau. 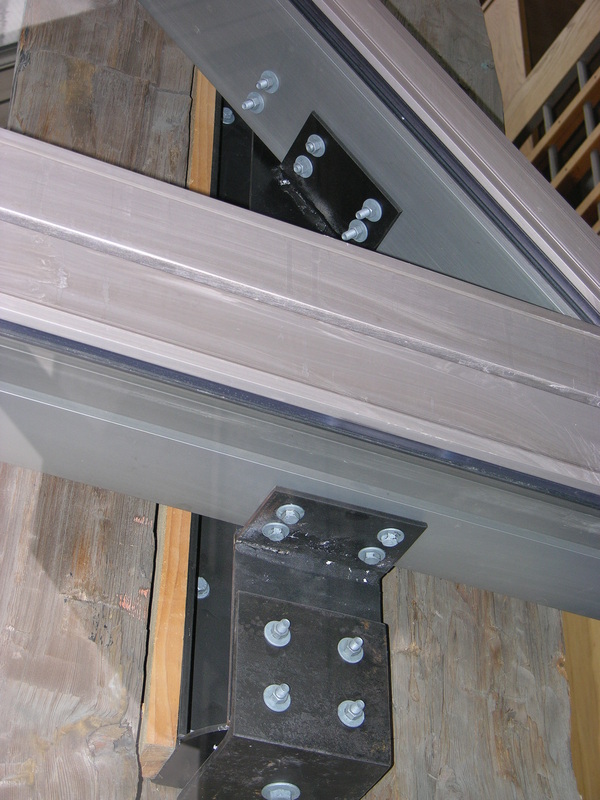 The bolt solution here involves U-shaped lengths of steel all-thread, bolted from the front. The location of bolt holes in the pupils of the eyes suggests the mount solution was designed from the start. 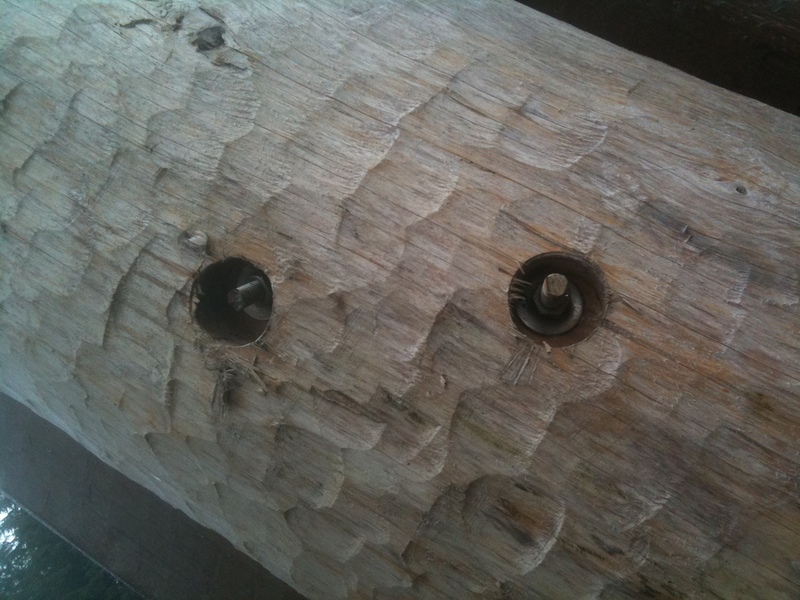 The poles are missing a few of the wooden plugs that cover the bolt holes. Yellow Cedar (considered unusual) 31 ½ feet tall, 21 ½” wide at base, 71” wingspan at top. 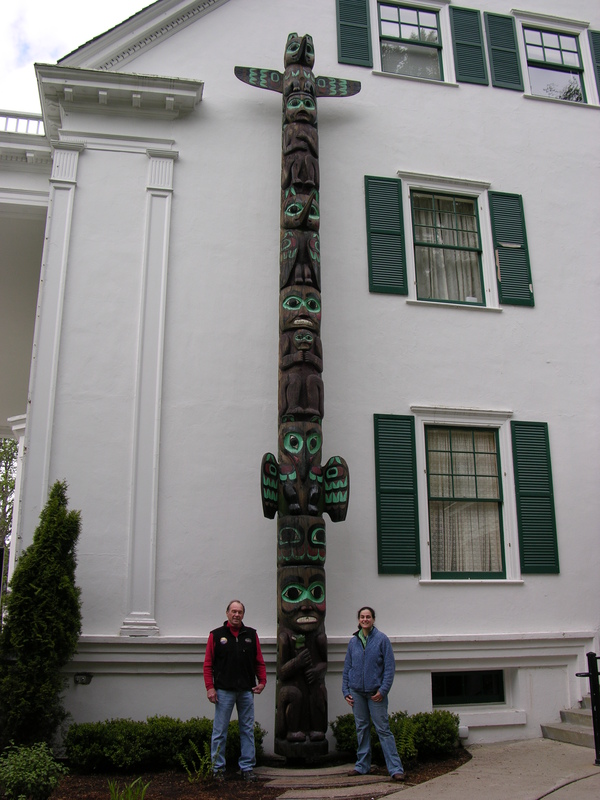 Carved by and Charles Tagook and William N. Brown in 1939-40, the totem pole stands outside the Governor’s Mansion on Calhoun Avenue in Juneau. 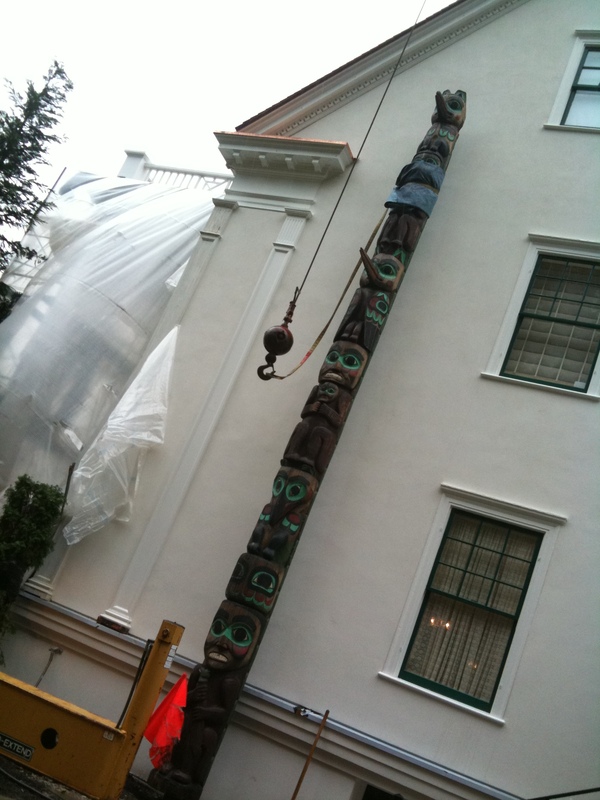 The pole is part of the property, but the Alaska State Museum assists in its care. It was mounted using a galvanized steel street light pole and brackets in 1997 during a treatment led by conservator Ron Sheetz. The re-mounting mechanism was designed by George McCurry, Southeast Region Maintenance Manager for the Department of Transportation. 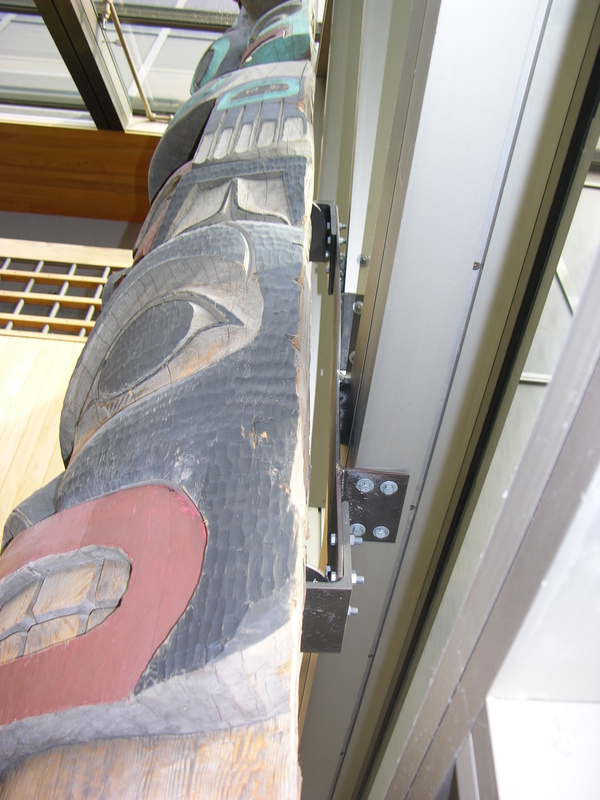 The mounting system involves brackets attached to the back of the totem pole that bolt together with brackets on the street light pole. 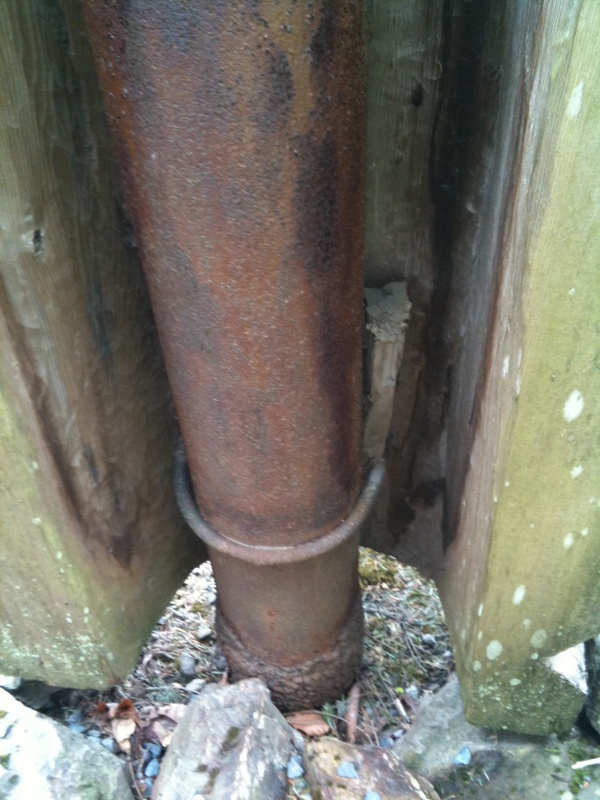 The pole was taken down briefly in spring 2011 to protect it from house renovation work and re-installed successfully the following autumn. 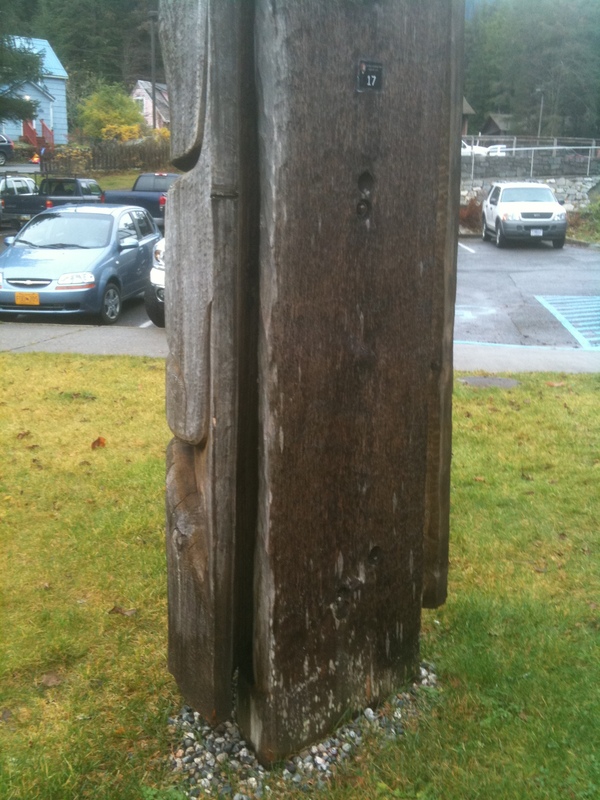 Carved by Amos Wallace in 1967, this pole was installed around 1976 at the public library on Calhoun Avenue in Juneau. 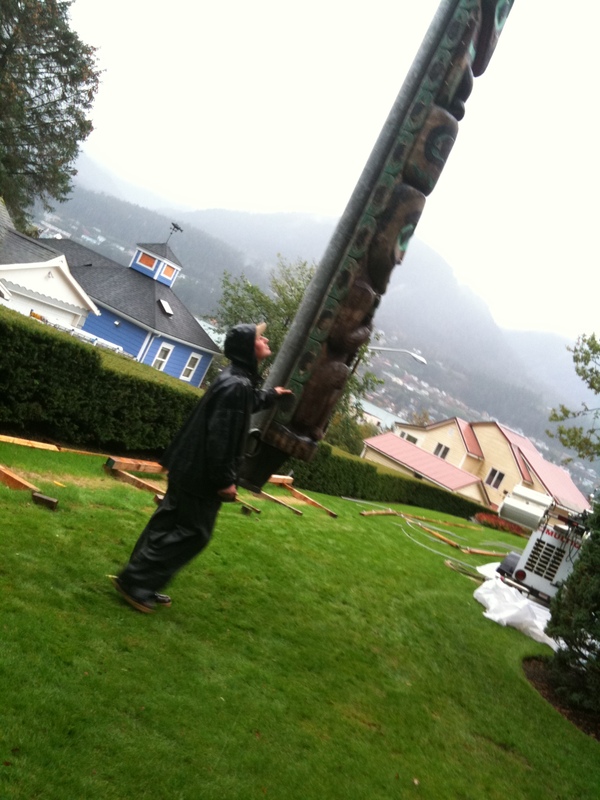 That site is now the Juneau-Douglas City Museum, and pole is part of its collection (84.18.001). 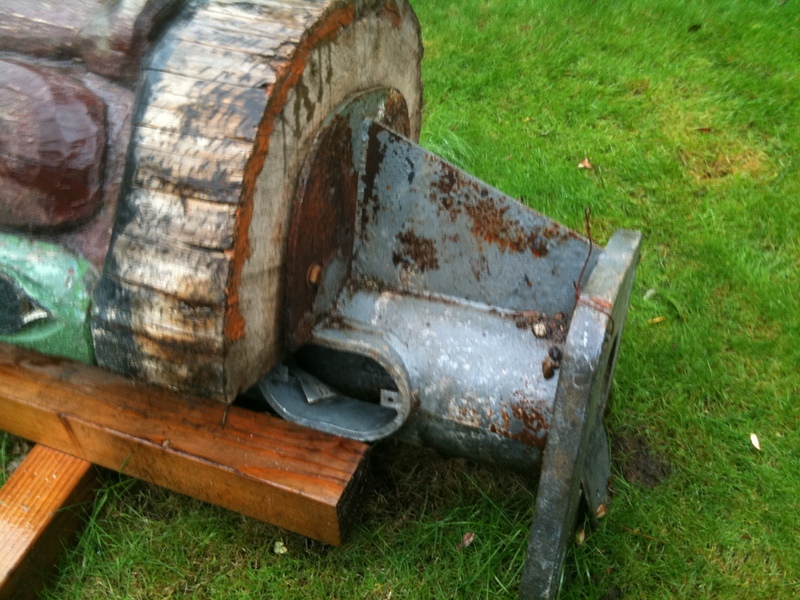 It was mounted directly in the ground in the 1976 and remounted in 2004 using an aluminum strongback designed by Banghart and Associates. While steel can be smaller in cross-section for a given project than aluminum, the latter is easier to manipulate using standard woodworking tools and offers more options on site for a good fit. The bolts are stainless steel. 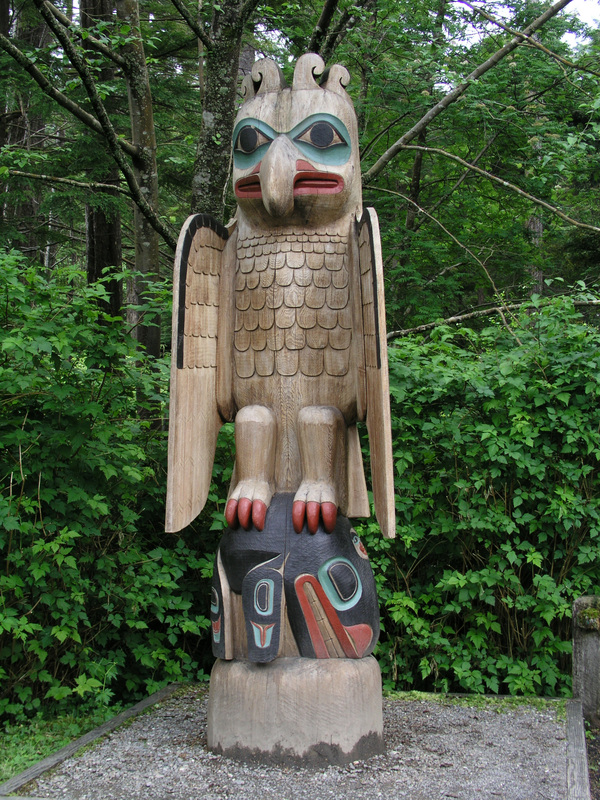 The totem poles in the park have a varied history. Some were collected by Governor Brady around 1901-1903. Many are replica carvings, particularly from the Civilian Conservation Corps work of the 1930’s but some reproduction poles from the 1970’s as well. The park is part of the National Parks Service, and in the 1980’s there was concern about the deteriorating condition of the poles. Ron Sheetz, the furniture conservator who was in town to finish the work on the Russian Bishop’s House (also NPS) was called over to take a look. 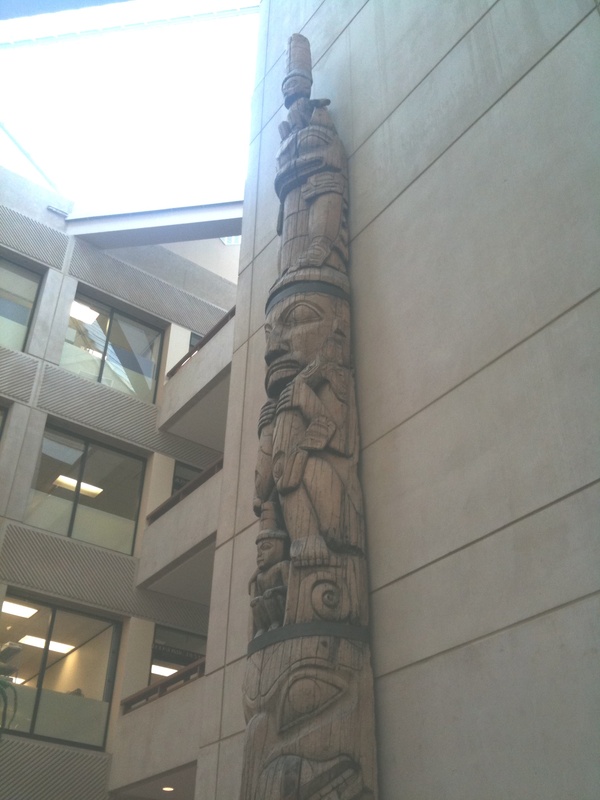 Considerable preservation work was done to many poles in 1991 by Al Levitan, Ron Sheetz and others in conjunction with a totem pole preservation conference. 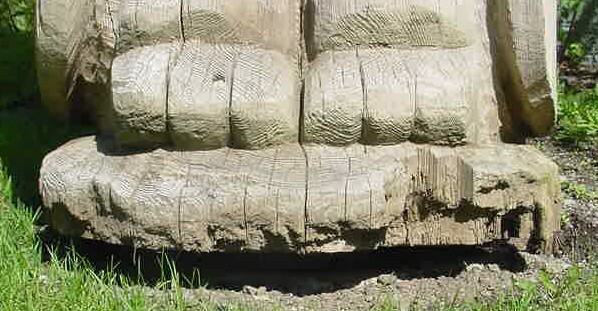 The most common method is a supplementary wooden post made from a yellow cedar log attached in the concavity behind the original pole. 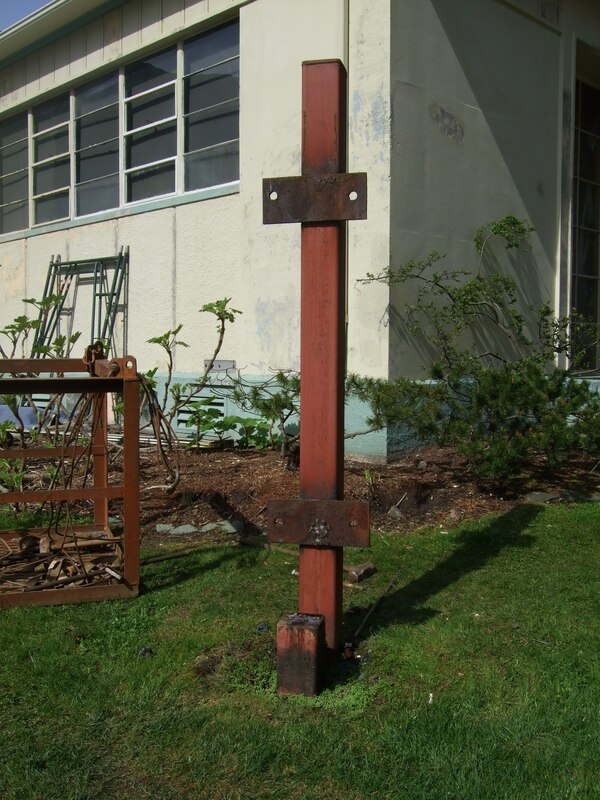 This post holds the original up above ground level, and is itself buried in the ground. 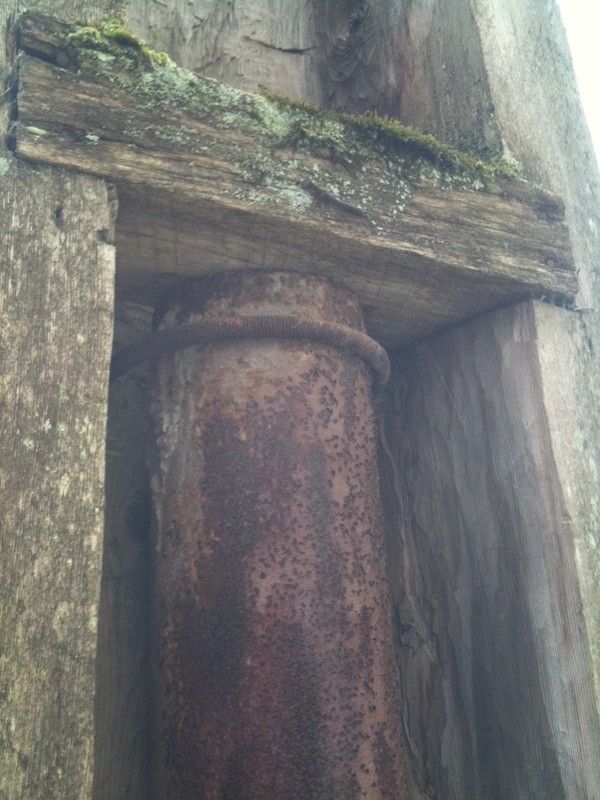 This method was apparently used in earlier preservation efforts and can be seen as a mounting technique on many poles throughout Southeast Alaska. 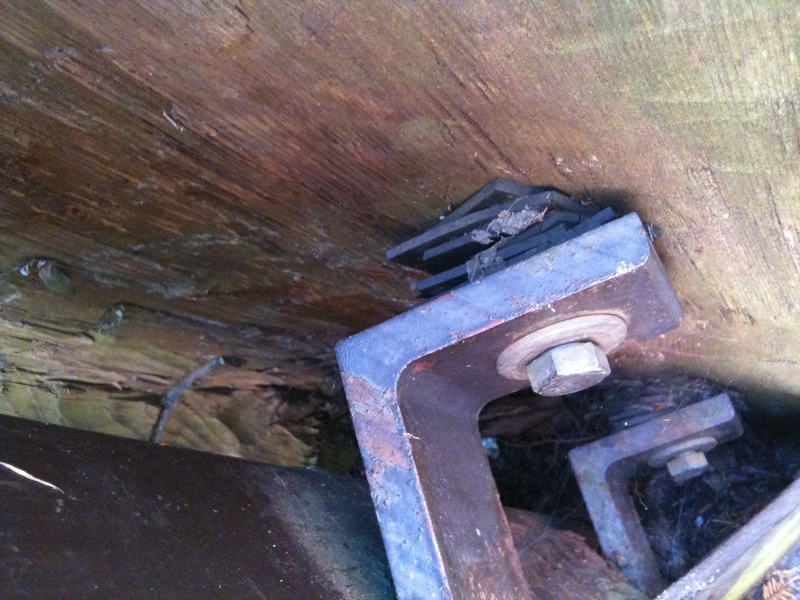 Sometimes a cedar box was built around the support. 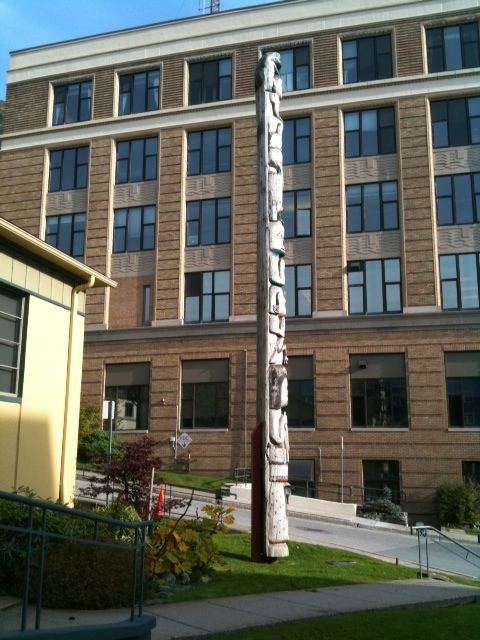 The Friendship Pole was carved around 1959 at the Alaska Indian Arts Center in Haines as a commission by the Department of Corrections. Museum records indicate the carver was Leo Jacobs. 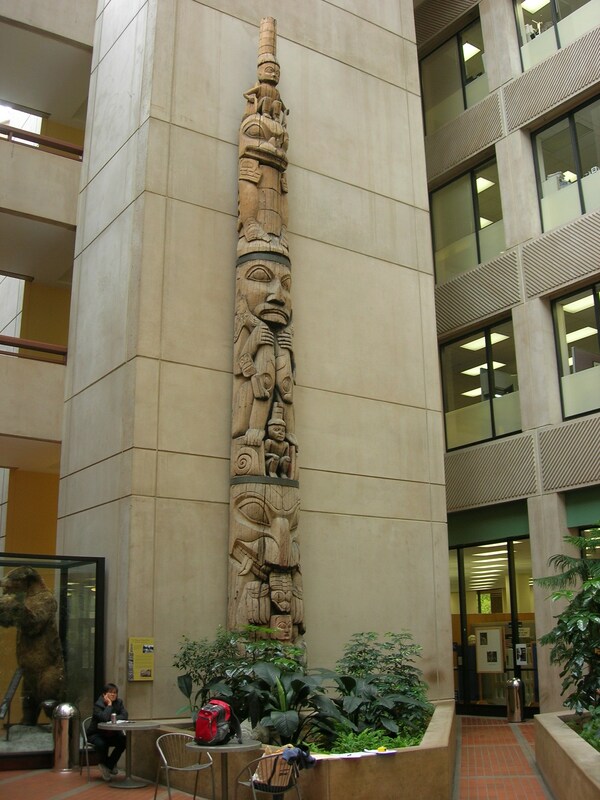 It was installed in the atrium of the Dimond Courthouse building in 1976. It is now part of the Alaska State Museum collection (II-B-1679). 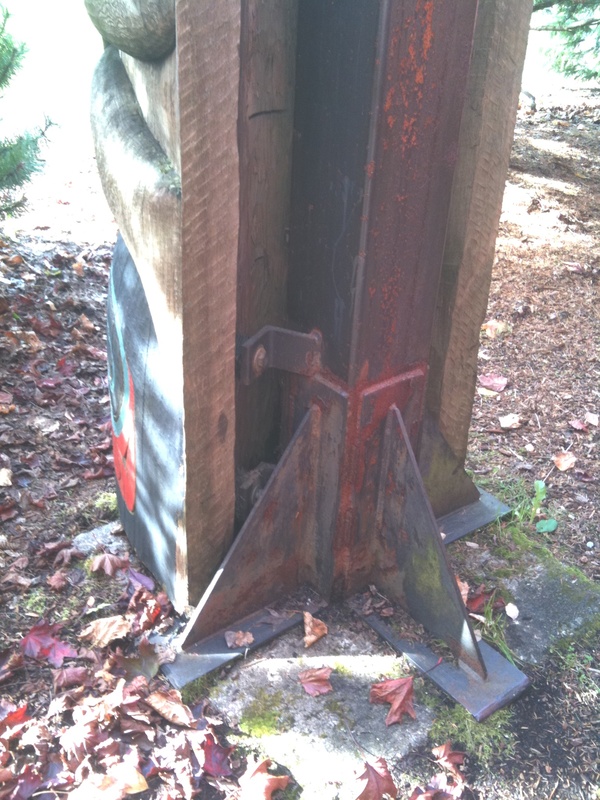 Following new Homeland Security measures, the pole was moved out of the way of security screening equipment in 2002. It has a custom bracket system to attach it to the structural elements of the atrium, designed by Banghart and Associates. Western Red Cedar. Approx. 38 feet tall, base 4 feet in diameter. Thought to be 2,500 lbs. though estimates vary widely in the written reports. 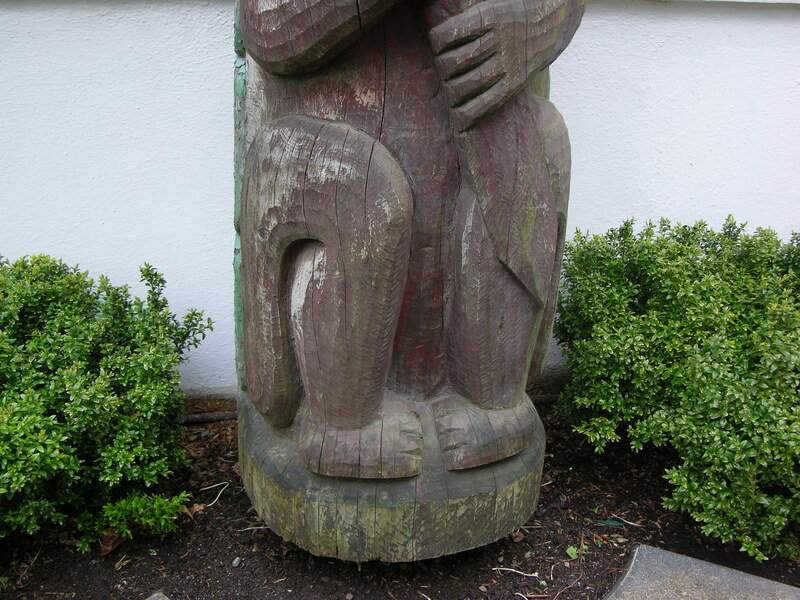 Carved in Sukkwan in the 1880’s by a Haida carver whose name is not the museum records. Installed indoors in the atrium of the State Office Building in downtown Juneau in 1977. It is part of the Alaska State Museum collection II-B-1632. 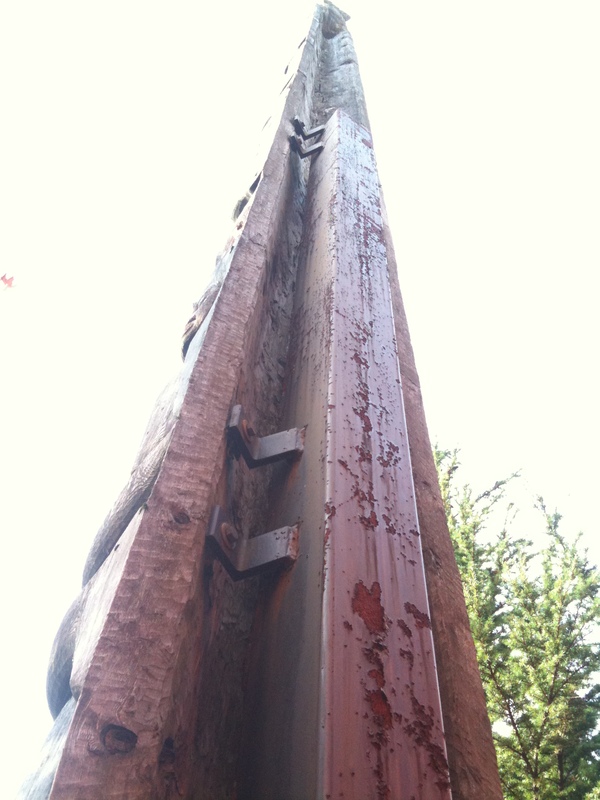 The pole has a hollowed out back and compromised structure, which was reinforced with wood from the inside when mounted indoors, and the main support for the pole is given by large steel straps around the exterior of the pole that are bolted to the wall. 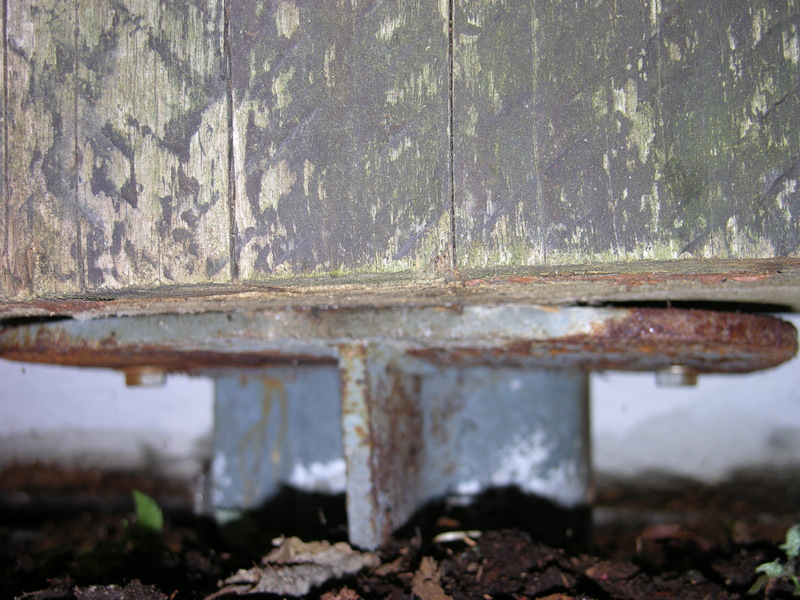 Straps like this would not be an ideal solution outdoors, as you would get very different weathering, deterioration, and biological growth in the locations of the straps. 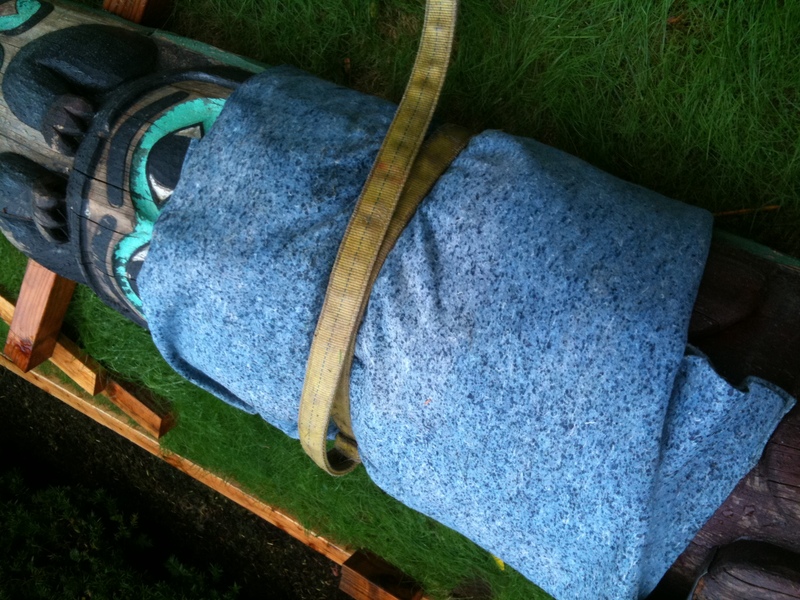 NOTE: How much does a totem pole weigh, anyway? I’ve noticed the math doesn’t quite seem consistent from pole to pole in the documentation. I am suspicious of dimensional estimates and weights of the poles that I read in the files unless more elaboration is provided, particularly info from the designer of the mount. The best resource I have to date is the description of the weight of the YaxTe Hit pole described in How To Take Down A Totem Pole. You are currently browsing the Ellen Carrlee Conservation blog archives for October, 2011.